Then I glued an identical layer onto that one (both pieces), and voila, a mortise for the long stretcher. 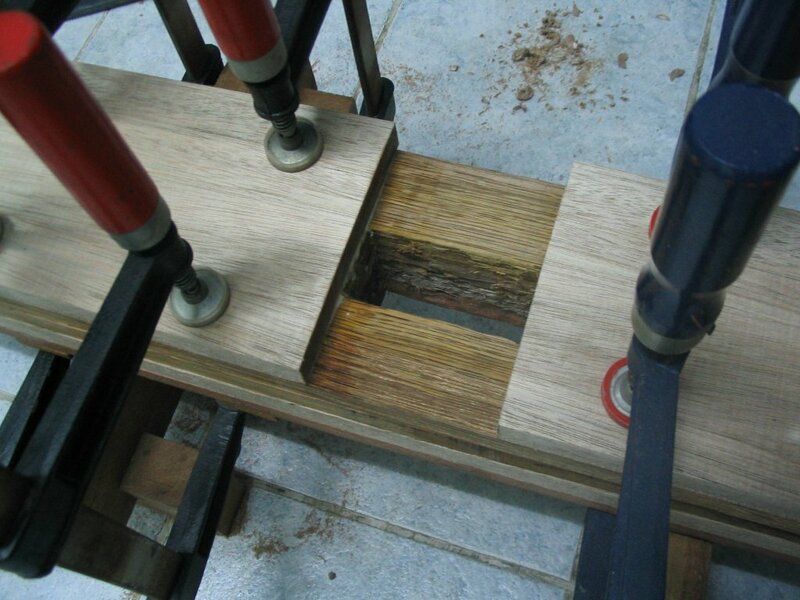 The last two boards closed up this mortise, and the long stretchers will go all the way through. 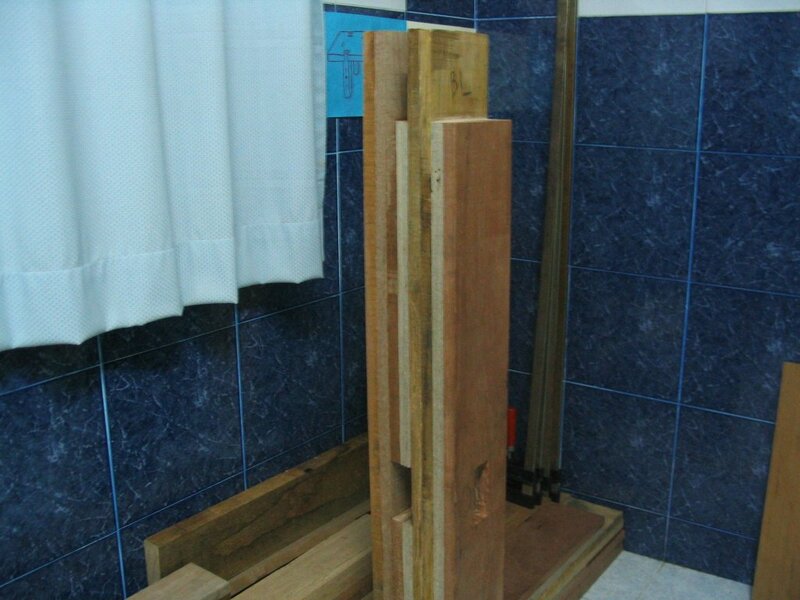 The short stretcher will stop just short of where the long stretcher goes through. 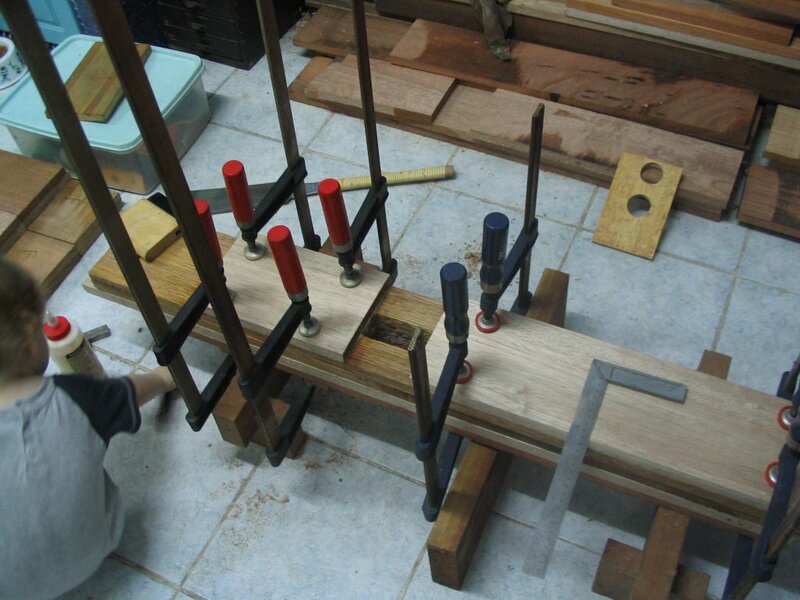 To determine the size of the mortise, by the way, I clamped the top piece on the leg, laid the long stretcher out in its place and snugged the bottom piece up against it. Then I removed the stretcher, scooched the bottom piece up the tiniest bit, and marked it there. Worked perfectly. My initial dry fit shows that the stretcher will either go in with a bit of persuasion, or will require some minor paring to get it to fit. Fine by me. One leg done (minus cutting the bottom to size). Ha, look at all those colors, this will be one mutt of a workbench! 😀 I hope to finish all four legs by the end of the week, as I’m going to Germany next week for a conference. The stripes are actually pretty cool. Ha! Thanks buddy. Another leg just finished. Two to go!